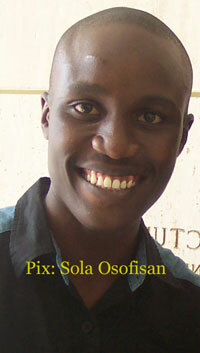 TOLULOPE GBENGA OGUNLESI could be counted among the few young Nigerian writers heading for the limelight. And how fast he is moving! He became a published poet at the age of 21 (2003) and so far his poems and short stories have been featured in numerous print and online journals like the Times Arts Reviews and Stickman Review. His poem, ‘Visiting the Yellow River’ won the 2006 Dorothy Sargent Rosenberg Poetry Prize. Ogunlesi is indeed set for a great literary future, as revealed by this interview with SUMAILA UMAISHA. NNW: Let’s have a glimpse of you as a writer. I was a fellow on the British Council Literature project, ‘Crossing Borders’ for 2005/2006, a delegate to the literary festival ‘Beyond Borders’ in Uganda in 2005, and participated in the 2006 Caine Prize Writing Workshop in Kenya. I love travelling, and writing has given me a number of opportunities to indulge this habit… literary festivals/performances in Amsterdam, and Holland… and in fact, my first visit to Nigeria’s Federal Capital, Abuja, was on the invitation of the BBC to be part of the team of writers for ‘StoryStory’, the BBC World Service Trust radio drama, in 2006. In February 2007, my poem ‘Visiting the Yellow River’ won a $1,000 prize in the annual Dorothy Sargent Rosenberg Prize, awarded in the US. To achieve all these at your age you must have started writing very early. I grew up in a world of books – Enid Blyton’s magical world of fairies, gnomes, golliwogs and strange lands; and her mostly-realist world of Famous Fives, Five Find Outers, and Secret Sevens; and also a world of ancient fairy and folk tales (Cinderella, Sleeping Beauty, Goldilocks, Hansel and Gretel, Snow White, Aladdin, Puss in Boots…). We had editions of these tales at home, and I spent many moments immersed in them. Of course, I can’t forget to mention the folktales of my Yoruba tribe, on everything from how the Tortoise got his broken shell to why the Cat and the Mouse are lifelong enemies. My foray serious writing started in 2002, at the beginning of some eight months I was to spend at home courtesy of a nationwide strike by university teachers in Nigeria. I had months earlier bought a copy of a book titled How to build a long-lasting fire – a guide to writing poetry from the stuff of your life, using models from beginning and established poets. A few months later, some poems of mine came to the attention of British poet and novelist, Sam Smith, then the poetry editor of the Australian publishing house Jacobyte Books. He instantly offered to publish me. October 2003, I became a published poet. That same October, my first short story (as a serious writer?) appeared in the PEN Nigeria’s Anthology of New Nigeria Writing; A MELODY OF STONES. What themes do you love writing on more often and why? 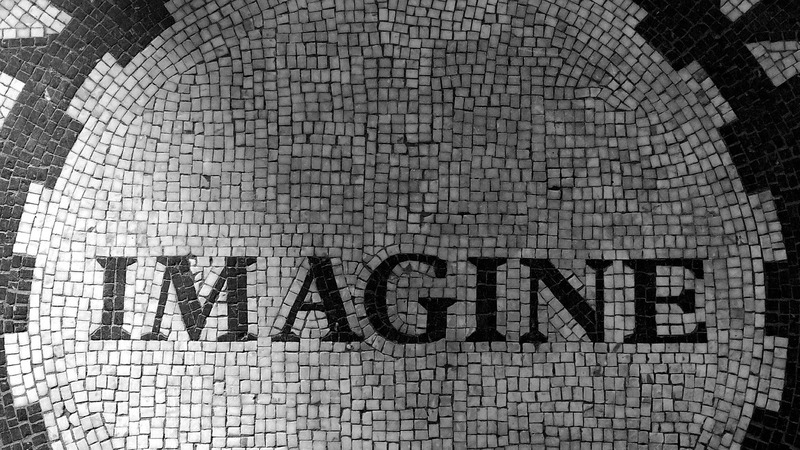 I think that the best answer I can give to that question is to say that I do not write by theme… I’m not sure I set out to write thinking or obsessing about one grand theme or the other… it’d be somewhat absurd for me to sit down and say, hey, let me now spend the next ten minutes writing about Love, and after that, I’ll do a short story on Cruelty. What might happen is that readers – after the fact of my writing – will point out thematic threads that they have spotted in the body of my work, and I think that is for them to do, and not for me the writer. What inspired your award winning work, Visiting the Yellow River? A poem in an anthology of Chinese poetry (by the poets Wang Wei, Li Bai and Du Fu – Tang Dynasty poets) edited by Vikram Seth. I can’t remember offhand which of the poets wrote the poem that inspired me, or its title, but the fact too is that the entire tone and rhythm of the collection was a huge influence. Upon this inspiration I then wove what I’d call my own music… which explains the appearance of Olumo Rock, and the River Ogun… I have lived in Abeokuta more or less all of my life, and the city’s name issues from the presence of the Rock. From Olumo Rock, one of the signatures of the city is the River. I transposed the original Chinese Yellow River across oceans and seas, onto my little, ancient City of Abeokuta’s native river. The early years of a writer’s life usually have an influence on his writing. Could this be said of your works, especially Visiting the Yellow River? You are so young, yet your works are very mature partly because your family background. What’s your advice to young writers like you who may not be fortunate enough to have the fertile background? I’m not sure if I’m still young any more… for a long time I used to think so (that I was young), perhaps because I always found myself in school with classmates who were older than me… but now, all of a sudden, I feel like my life has left the service lane and joined the highway…then, too, I’m not sure I always write matured work, the reality is that I’m still a struggling writer myself, I still have it in me to write cringeworthy stuff, I still often wander blindly down the wilderness of open computer pages, not sure where to turn, desperately hoping I’d see a strange light from heaven… By the way, I’m not being falsely modest by saying all this. Regarding advice, I hope I will not be sounding condescending by attempting to give advice to “young writers”… What I would say is “seek ye first the kingdom of Passion/Obsession, and all other things should – yes, should, not will – be added unto you… “Should” because passion for writing does not in itself guarantee success, the world is filled with talented and committed writers who are still struggling for that big break, or who have dropped out of the whole writing business in frustration, and mediocre writers whose books are crawling out into the world like a crazy virus… And note also that I did not add “talent” to the kingdoms to be sought because I think that talent is not within our spheres of control… but that’s not to say that I belong to the school of “Either you’ve got it or you haven’t”. No. My belief would belong to the school of “Make the most out of what (talent) you have been handed… seek to build the best house you can upon the foundation that nature/circumstance/gene has built for you. Who is your role model among the African writers and why? 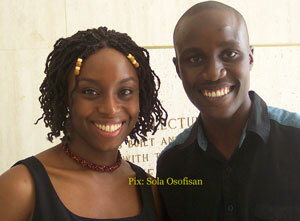 Chimamanda Adichie for her humility and her unshifting commitment to the craft of writing, and her self-confidence. Binyavanga Wainaina for his subversive tendencies and his generosity. Helon Habila for his persistence and passion (long before international success showed up on the horizon). Niyi Osundare for his humility Odia Ofeimun for his selflessness and commitment to the progress of young writers. Most Nigerian writers for their struggle to make their voices heard amid a publishing opportunity graveyard. The truth is that I’d probably value each and every writer I have met in my short life for one quality or the other in their lives that inspires and challenges me. What do you think should be the role of the African writer in the ever changing global politics and economy? I think that the role of any writer first and foremost is to write. Not talk about writing, not live on past glory, not teach writing, not create new schools of writing, not analyse writing, but WRITE. This is the duty of every writer all over the world. It is only when we have succeeded in this that we can then seek to engage our environment, in activism, knowledge transfer (teaching) and other ancillary activities. Writing is first and foremost; and the bulk of our attention and energies should aim at becoming the best writers we could ever be, maturing in our craft, communicating as seamlessly as possible with our readership, and perhaps influencing our world that way. Sumaila Isah Umaisha is the Literary Editor of New Nigerian Newspapers. He has written two collections of short stories, The Last Hiding Place and Other Stories and Burning Dreams. He also has a collection of poems, hell@heavensgate. His works, in poems and short stories are featured in several anthologies, including Vultures in the Air, edited by Zaynab Alkali and the Swiss writer, Al Imfeld; WE-MEN, edited by Nduka Otiono and E. C. Osondu. Umaisha is the immediate past Publicity Secretary (North) of Association of Nigerian Authors (ANA) and the current chairman of the Kaduna State chapter of the association. He was awarded a literary merit award by the Kano State chapter of ANA in 2002. He is a joint winner of the 2005 ANA award for the Literary Journalist of the Year.